Welcome to this spacious 4 bed, 3 bath home located in a convenient Port Washington neighborhood. Enjoy the ease of having a 4th bedroom & bath combo on the main level, perfect for an office, mother-in law suite, or guest room. Space is plentiful downstairs in the lower level. Bring your renovating ideas to transform this area & create even more livable space in this large home. Step outside & enjoy your private backyard oasis with no neighbors behind you. Perched at the very top of the neighborhood, enjoy small views of Lake Michigan. 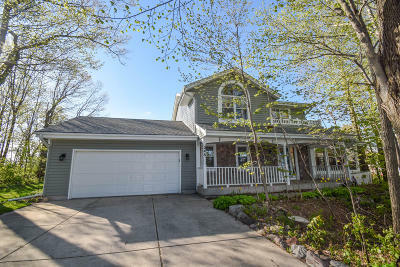 Just minutes from I-43, Schools, Shopping, & all that Downtown Port Washington has to offer, this is a fantastic location that cannot be beat. Come tour your new home today!